Monolith Soft, a Japanese video game development studio, was recently confirmed to have had a role in the development of Breath of the Wild. While we’ve known of their involvement with the game, a recent interview between Zelda producer Eiji Aonuma and Gamekult has shed some light as to what role Monolith Soft played while assisting with the latest entry in the Zelda franchise. 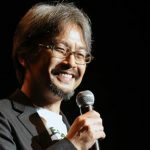 Given Monolith Soft’s experience with open worlds, such as the ones found in Xenoblade Chronicles and Xenoblade Chronicles X, Aonuma going to them for help appears to have been a sound idea. We’ll see in a little over a month just how effective the partnership was. What are your thoughts on Monolith Soft being involved in the development of Breath of the Wild? Let us know with your comments!